In the recent judgment of M/s. Voestalpine Schienen Gmbh vs. Delhi Metro Rail Corporation Ltd., (delivered on 10-02-2017) the Supreme Court of India while upholding the concept of 'neutrality of arbitrators' envisaged under the amended Section 12 of the Arbitration and Conciliation Act 1996 (the Act), has given some directions on the constitution of an arbitration panel to Delhi Metro Rail Corporation Ltd., (DMRC). The court was considering a petition filed by M/s. Voestalpine Schienen Gmbh (Voestalpine) under section 11(6) read with Section 11(8) of the Act seeking appointment of an independent and impartial arbitrator / arbitral tribunal. Although, there were numerous judgments by the Hon'ble Supreme Court on neutrality of arbitrators in government contracts, this judgment attains much significance, as it is the first judgment passed by the Supreme Court after amendment of Section 12 in 2015. Amendment to Section 12 has made neutrality of Indian arbitrators at par with international arbitrators. The present judgment makes it very clear that the concept of 'neutrality of arbitrators' is equally applicable to all entities and that government and public sector undertakings are no exception. The judgment is therefore expected to foster the arbitration environment in India especially those arbitrations in which government entities are parties. Voestalpine, an internationally known manufacturer and supplier of rails and related products had entered into a contract with DMRC on 12-08-2013 for supply of rails. The contract was subject to an arbitration clause and the arbitration proceeding was to be conducted as per the provisions of the DMRC General Conditions of Contract ("GCC") and Special conditions of the contract ("SCC"). Certain disputes arose between the parties whereby Voestalpine wanted the dispute to be referred to an Arbitral Tribunal. As per the terms of the GCC and SCC, upon receiving Voestalpine's arbitration request, DMRC forwarded names of 5 arbitrators to Voestalpine from a panel of arbitrators which it maintains, out of which both Voestalpine and DMRC were to choose one arbitrator each and the two chosen arbitrators were supposed to then choose the third arbitrator out of the already chosen 5 arbitrators. However, Voestalpine objected to it on the basis that DMRC's panel consists of serving or retired engineers either of DMRC or of government department or public Sector undertakings and thus they do not qualify as independent arbitrators as per Section 12(5) read with clause (1) of the 7th Schedule of the Act. Voestalpine, thus nominated a retired judge of the Supreme Court as a Sole Arbitrator and requested DMRC's consent, the same was not acceptable to DMRC. DMRC again insisted for the procedure as prescribed in the GCC read with SCC and appointed a nominee arbitrator from the already chosen 5 arbitrators. Voestalpine thus moved a petition for appointment of an arbitral tribunal under section 11(6) read with Section 11(8) of the Act seeking appointment of an independent and impartial arbitrator / arbitral tribunal. the entire ethos and spirit behind the amendment to Section 12 in 2015 was to ensure that the arbitral tribunal consists of totally independent arbitrators and not those persons who are connected with either side, even remotely. DMRC being a public sector undertaking had all the trappings of the Government and therefore even those persons though not in the employment of DMRC but in the employment of central government or other government body or public sector undertaking should not be permitted to act as arbitrators. As the panel is comprised only of 'serving or retired engineers of government departments or public sector undertakings' it defied the neutrality aspect as they had direct or indirect nexus / privity with DMRC and therefore Voestalpine has reasonable apprehension of likelihood of bias on the part of such persons appointed as arbitrators as they were not likely to act in an independent and impartial manner. 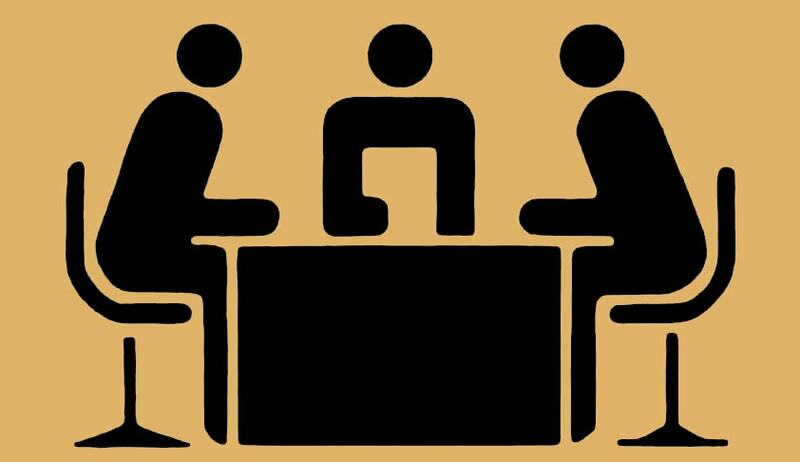 arbitration agreement is valid and the arbitrators proposed to be appointed are not falling in the category of 'prohibited clause' as stipulated under Section 12(5) of the Act read with clause 1 of the 7th Schedule thereto. the arbitration involves adjudication of technical aspects, and hence proposed the panel of retired engineers of the government who have the requisite expertise to arbitrate the subject matter. Such proposed arbitrators are not serving DMRC nor were they past employees of DMRC. Most of the panelists were retired officers from Indian Railways who retired from high positions and were also having high degree of technical qualifications and experience. The list even included persons from other bodies like Delhi Development Authority, Central public works department etc. Thus, the said arbitrators are capable of arbitrating the subject matter without compromising their independence and impartiality. Merely because these persons had served in railways or other government departments would not impinge upon their impartiality. The moot question for the Supreme Court to consider was whether the panel of arbitrators prepared by DMRC violated the amended provisions of Section 12 of the Act. The court did not find it a fit case to exercise its jurisdiction to appoint and constitute the arbitral tribunal. The Supreme Court held that merely because arbitrators are government employees or ex - government employees, that in itself would not make such persons ineligible as arbitrators so long as they are not employees or consultants or advisors of DMRC. The Supreme Court however observed that the concept of neutrality of arbitrators, viz their independence and impartiality are vital for arbitration process and it is one of the fundamental ethos of natural justice. While arbitrator is a creature of the contract, arbitrator is independent of the parties and must be impartial. Party autonomy cannot be exercised in complete disregard of principles of impartiality and independence. The Supreme Court also tried to distinguish between independence and impartiality. It was held, an arbitrator may be independent and yet lack impartiality and vice versa. It was also highlighted by the Court that when the appointing authority is State, the duty to appoint an impartial and independent adjudicator is much more onerous. Thus, the Supreme Court directed DRMC to evolve a broad based arbitration panel comprised of private sector engineers, Judges, lawyers and accountants etc., within a period of 2 months from the date of the order, instead of limiting their panel of arbitrators to 'serving or retired engineers of government departments or public sector undertakings'. The court also held that provisions of the DMRC Special Conditions of Contract which leaves DMRC with the discretion to choose initial panel members shall be deleted as it would lead to suspicion in the mind of the otherside that DMRC may have picked its own favorites. It was suggested that the parties shall be given the choice to nominate any arbitrator from the entire broad based panel of arbitrators. This judgment would definitely send a positive signal to the international business community that India is indeed gearing up for a healthy and conducive arbitration environment and that the Indian Judiciary is all supportive. Asha Treesa Joseph is the Dy. Head Arbitration and Mediation, Surana and Surana International Attorneys, Chennai.